The unit are described by the QUDT ontology. 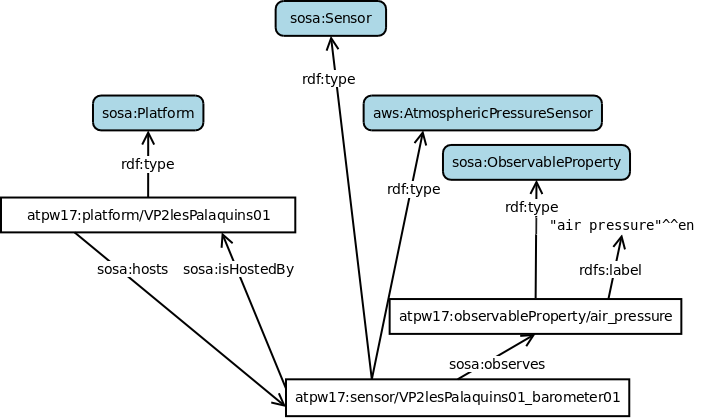 The sensor are described by the AWS ontology. 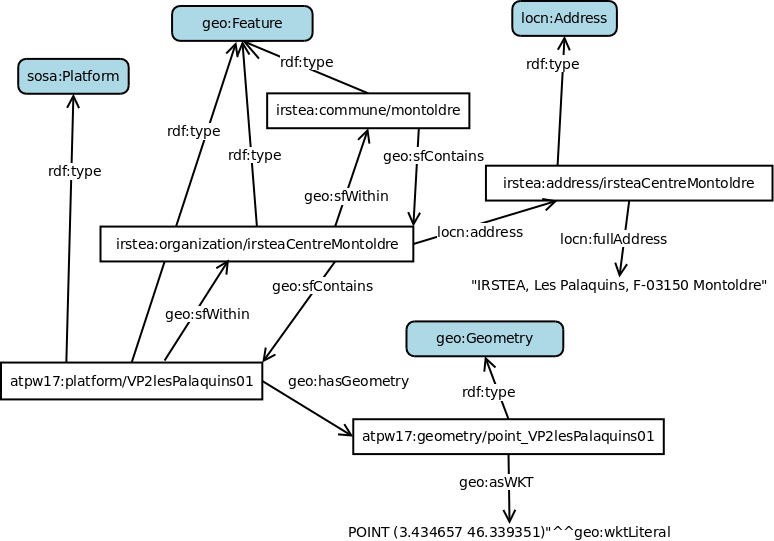 The location of the weather station is described by the LOCN vocabulary and the geosparql ontology. 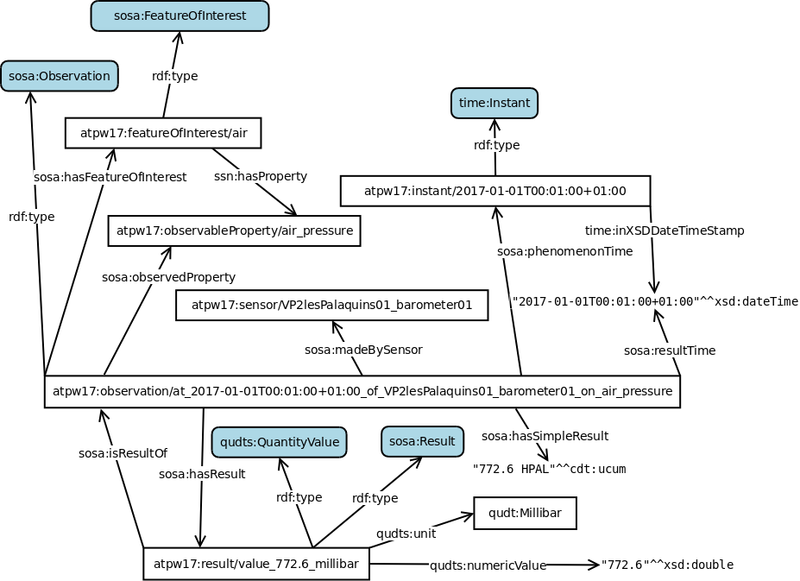 This was done for the same station with data callected from years 2010 to 2015, using the old Semantic Sensor Network Ontology. The old dataset is available at here. The data are available under the french open licence of etalab https://www.etalab.gouv.fr/licence-ouverte-open-licence. This licence it is compatible with the «Open Government Licence» (OGL) of the United Kingdom, the «Creative Commons Attribution 2.0» (CC-BY 2.0) licence of Creative Commons and the «Open Data Commons Attribution» (ODC-BY) licence of the Open Knowledge Foundation. the Climate and Forecast thesaurus. A query interface using snorql is available at http://ontology.irstea.fr/weather2017/snorql/. Pubby frontend is available at http://ontology.irstea.fr/weather2017/. Access with other SPARQL client (such as sparql-query) is available on the URL http://ontology.irstea.fr/weather2017/query or http://ontology.irstea.fr/weather2017/sparql. Please limit the results of queries because the database contains more than 18,500,000 triples (one measure per minute). The sources files to transform the CSV files and insert data in the sparql end point are availabe on irstea gitlab.